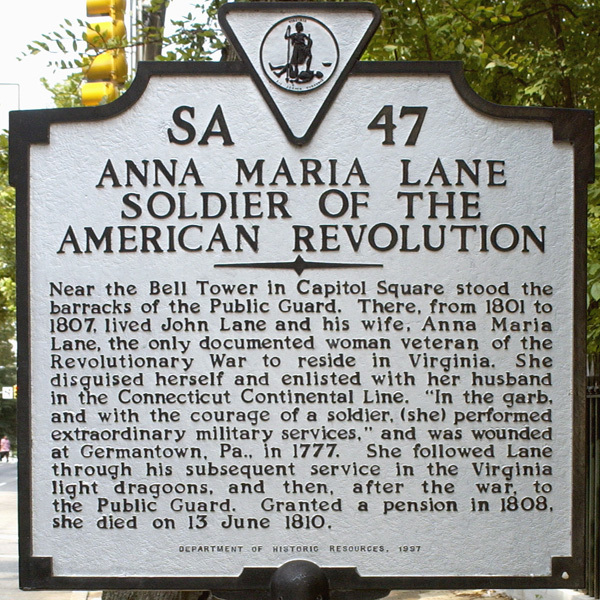 Historical Highway Marker for Anna Maria Lane. 2004. Library of Virginia. In 1997 the Sons of the American Revolution in Virginia sponsored a Virginia Historical Highway Marker to honor this woman of the Continental army. The Department of Historic Resources erected the marker near the Bell Tower in Capitol Square.